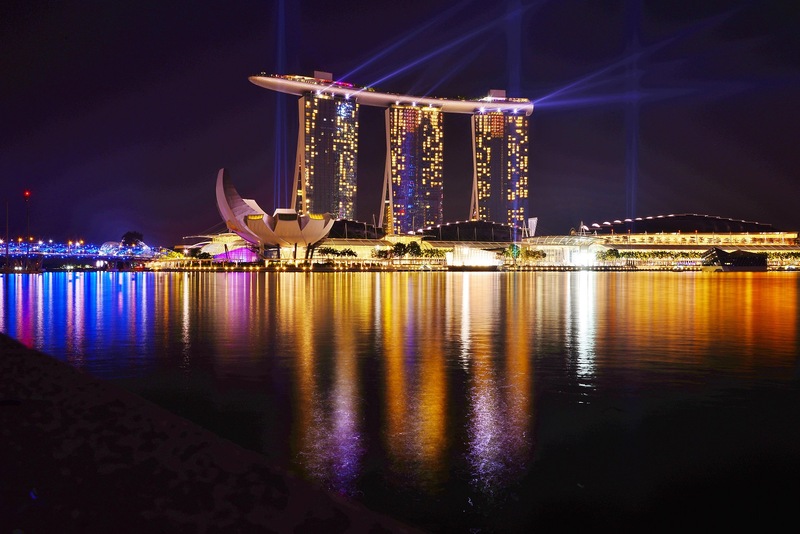 Directions: Reach Marina Bay and you will find Marina Promenade - it is a walkway along the bay. There are stunning views all around. 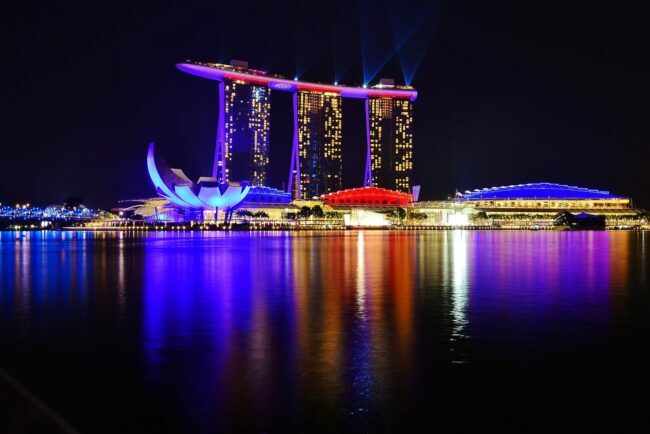 Don't forget to check out the Helix bridge, it is really beautiful at night. This is a fantastic place to take in the night citylights of Singapore. It’s photography friendly, tripod use is allowed. I used a concrete ledge on the river bank. Nikon D610, 20mm f/1.8G ED, Manual: f/13, 30s, ISO 100, Manual focus set to infinity, IR Remote for shutter release.